Have you ever overlooked an important tax deduction? Maybe you’ve found yourself concerned that you missed something in the tax preparation process. It may seem overwhelmingly complex, but it doesn’t have to be. If you’re a small business owner, you understand the importance of keeping your books in good order. Payroll, employee taxes, health insurance, business deductions, your yearly sales, and many other factors can impact your small business taxes. Working with a tax professional rather than relying on a do it yourself tax software program means you have an experienced individual on your side who will truly take the time to understand your business. A cookie cutter software program may miss major deductions and other important tax information. For help with all of the nuances of small business tax preparation in Evansville, look no further than the team at Baker Retirement & Wealth Management, PC. Did you inherit money or property last year? Do you work multiple jobs or own multiple properties? Are you caring for your aging parents in your home? If you answered “yes” to any of these questions, it’s a good idea to work with a tax preparation expert when filing your individual income taxes. A tax expert can work with you to maximize your deductions. A tax preparation software system is not a good substitute for the expertise you can expect from an experienced tax professional. Working with a licensed professional keeps you accountable for getting your tax information together. It also provides a good check and balance against minor mistakes that could cost you money, such as writing down a number in the wrong location or missing an important tax deduction. 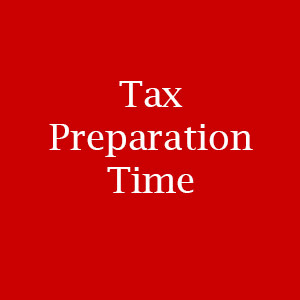 An Evansville tax preparation expert can help you stay organized throughout the process of preparing and filing your taxes. They can also help you ensure that all of your forms are filled in correctly prior to filing. Before deciding on a tax professional, be sure to ask about the accountant’s certifications. Do your homework and read online reviews to see what other customers say. The tax professionals at Baker Retirement & Wealth Management, PC are happy to help individuals and businesses with tax preparation and other financial matters. We’ve been offering financial services in the greater Evansville area for nearly thirty years. To get started with this year’s tax preparation, please stop by our office in Evansville, Owensville, Boonville, or Newburgh. You can also reach our office by calling toll free at 1-866-244-3517. April 15th will be here sooner than you think. There is still time to get with us, so please reach out today. We look forward to hearing from you.